Spring is here on the calendar, but it sure isn’t here weather-wise yet! 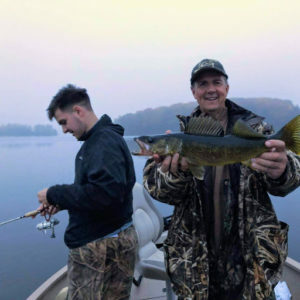 We’ve had snow for the past few days again to add to all that is still on the ground, but the weatherman is promising that temps will be up to a 50 balmy degrees by this Tuesday, April 16th, and in line for the game fish opener on May 15th! It was a winter and the beginning of spring of all kinds of records. We received something like 8′ of snow in February alone! We hope that we’ll be blessed with this same great snow next year, so just think it’s only 7 1/2 months to the snowmobile and ski season officially again! It’s never to early to reserve for the upcoming season! 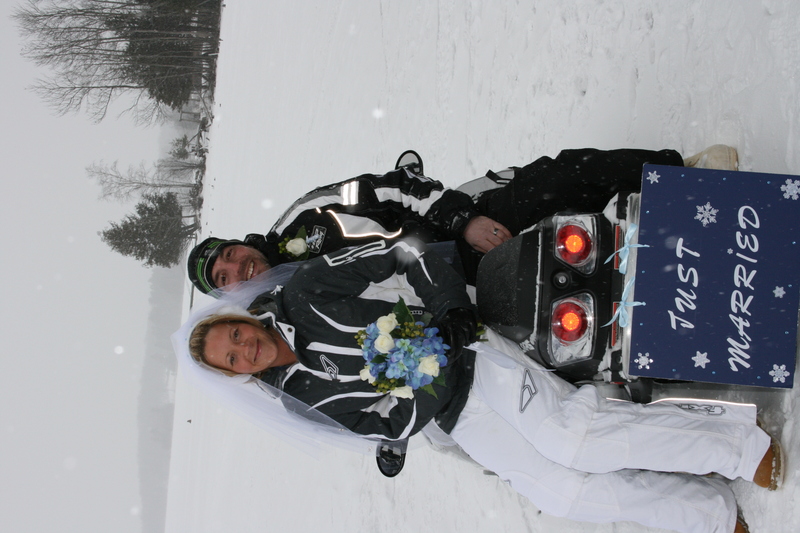 The Wisconsin opener of May 4 will be a little tight as of now, but in the U. P., we always say just wait a day! Big changes can happen! The average time for Thousand Island Lake to open is April 19 to 21. We’ll see what happens this year, but we are confident that the beautiful Cisco Chain will be liquid again by our game fish opener! If you are looking to come up for the opener, give us a call. We had late cancellations for May and can help. We only have three homes this year, due to the Blackhawk Point being sold by the owners, Sunset View being torn down to be replaced this year by that owner, and Eagle View now being used as the primary residence by those owners. 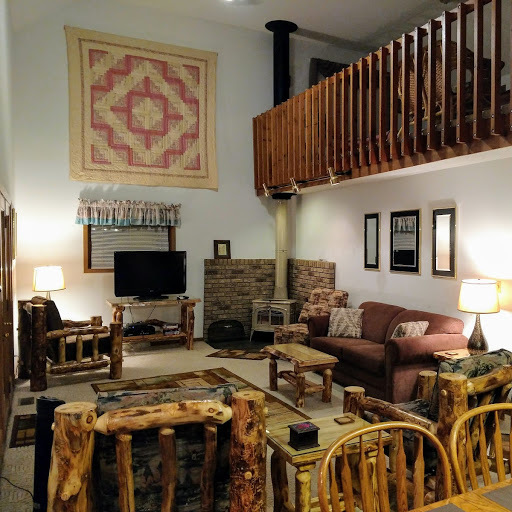 The funny thing is that we can still sleep way more people than we could when we actually owned our resort, Arrow Lodge, and it’s seven homes! 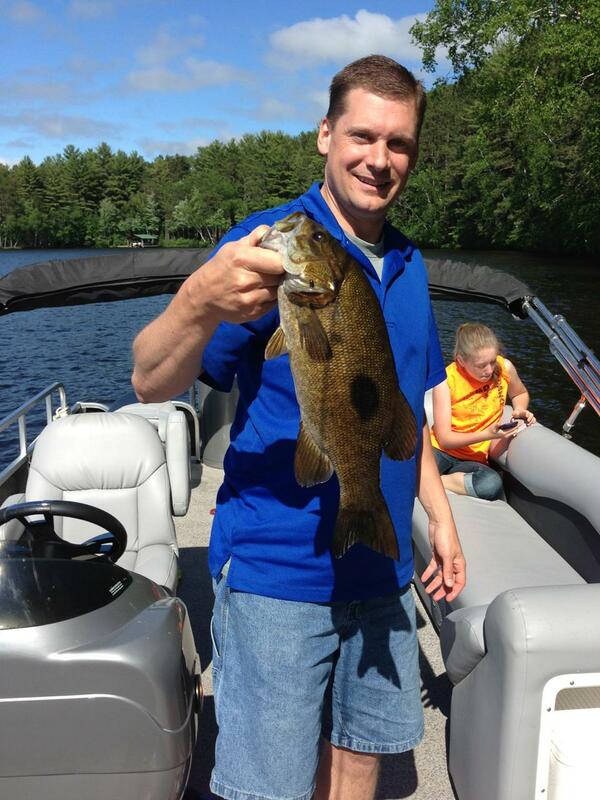 We have two deluxe boats with 40 and 50 hp motors and a fishing pontoon with a 50 hp motor for rent right here, too. Thank you for visiting our website. We hope you’ll find that one of our homes or more will fit the needs of your family and friends for an upcoming stay on the awesome Cisco Chain. It’s a beautiful body of water incorporating fifteen lakes…thirteen of which are accessible from our homes right here. 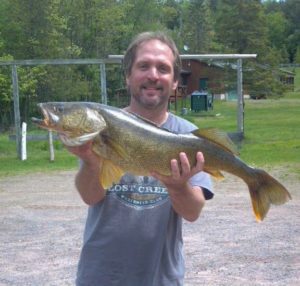 Record and Big Africa have no homes on them at all and are wonderful lakes to fish and explore. Every lake has its own characteristics, and we would love for you to come back to enjoy all of the Chain or to discover what it has to offer for the very first time. Also, Sylvania is just a mile away (about four miles to the actual check-in area). 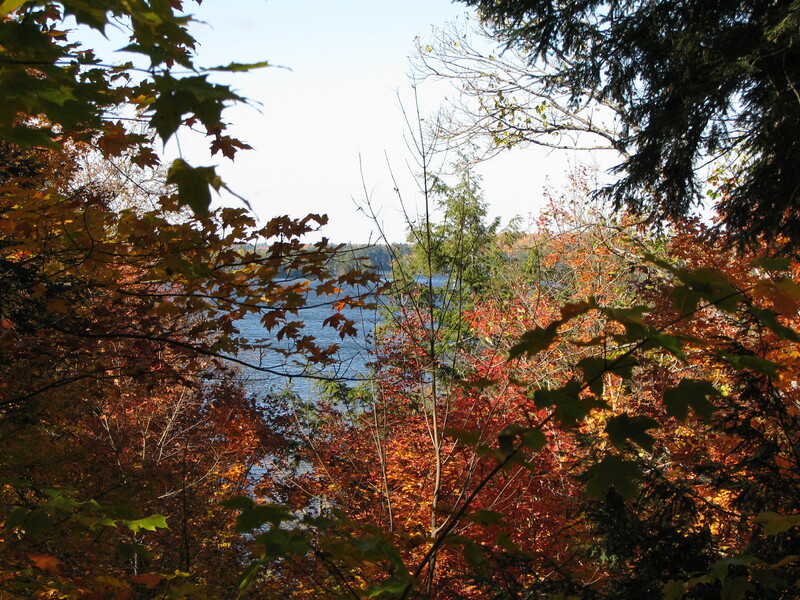 It has 36 unspoiled lakes, hiking trails, sandy beach and picnic area, and more for your explorations. Waterfalls are not far away! Lake Superior is only a little more than an hour’s drive! And we are so happy that we have such scenic and varied areas so close. 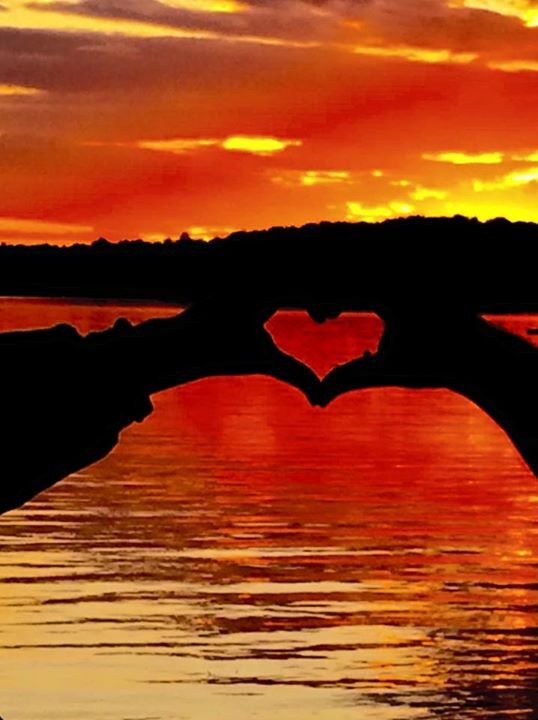 Mother Nature has been more than kind to us here, and we know you’ll love it here as much as we do! Happy Easter to All from our home to yours! We hope to see you soon. Phone 906-358-4390 for our landline or 715-360-6650 for Carole’s cell and text. We’ll be happy to answer any questions you have and help with any upcoming vacation plans you have. Thanks again. in Michigan’s fantastic U. P. just four miles north of Wisconsin! The peace and tranquility of this beautiful area will leave you feeling relaxed and happy. We invite you to enjoy our beautiful woods and waters, incredible wildlife and waterfalls, the soaring eagles and cries of the incredible loons, the clearest starry nights, the most sparkly pristine snow-covered virgin forests, and the solitude of this truly blessed area. Come and enjoy it with your family and friends and take home some wonderful memories! The Arrows are three private family-owned homes located on Thousand Island Lake on the Cisco Chain of 15 Lakes in Michigan’s fantastic Upper Peninsula. Our homes are just a few miles over the Wisconsin border. 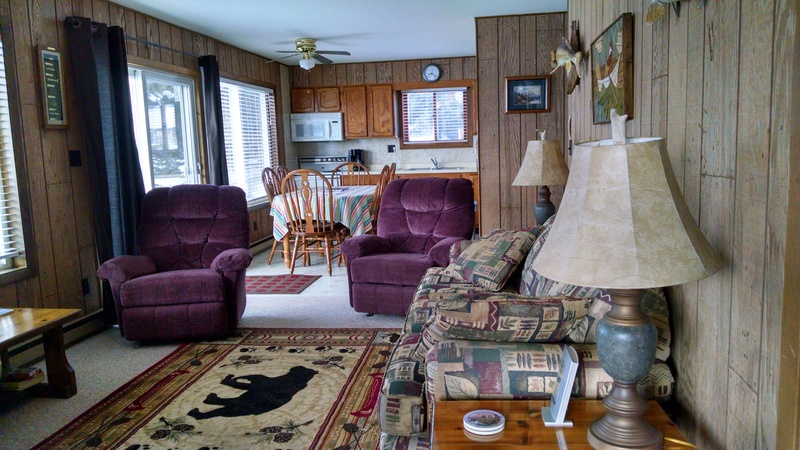 We have two deluxe executive homes that will sleep up to 15 people each. 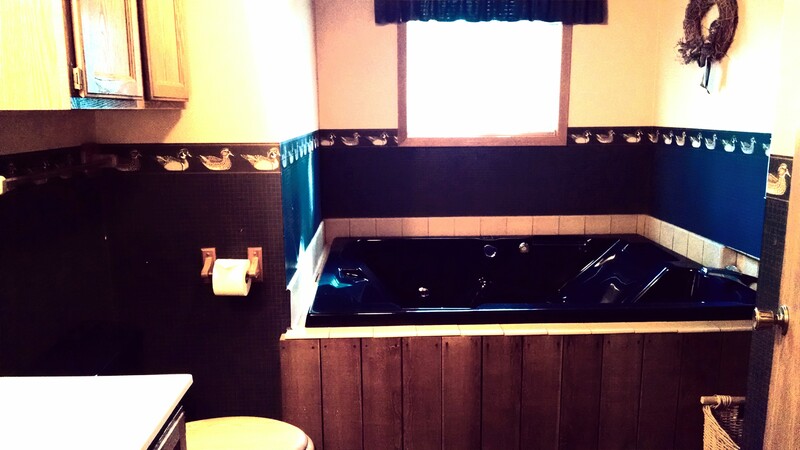 They each have four individual sleeping areas or more, two baths with double whirlpool tubs as well as many wonderful amenities. 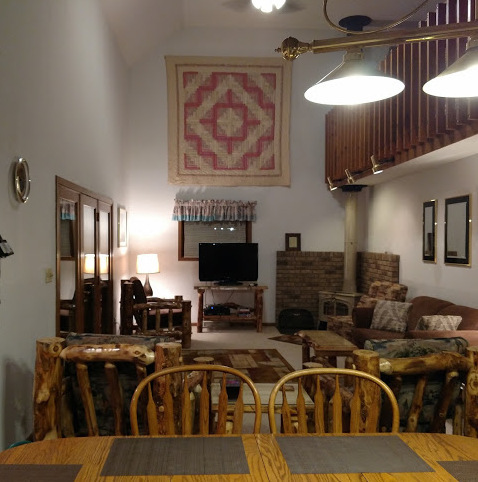 One of our homes is located at the former Indianhead Resort. It’s a three-bedroom, one bath home with a screened-in porch on the side. 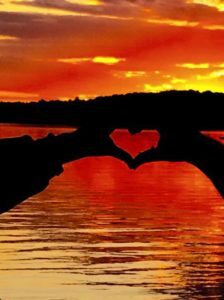 It has some of the best sunsets you’ll ever see. It’s a great time to make reservations now. Just let us know what time you’re looking for and we will be happy to help you with your vacation plans! 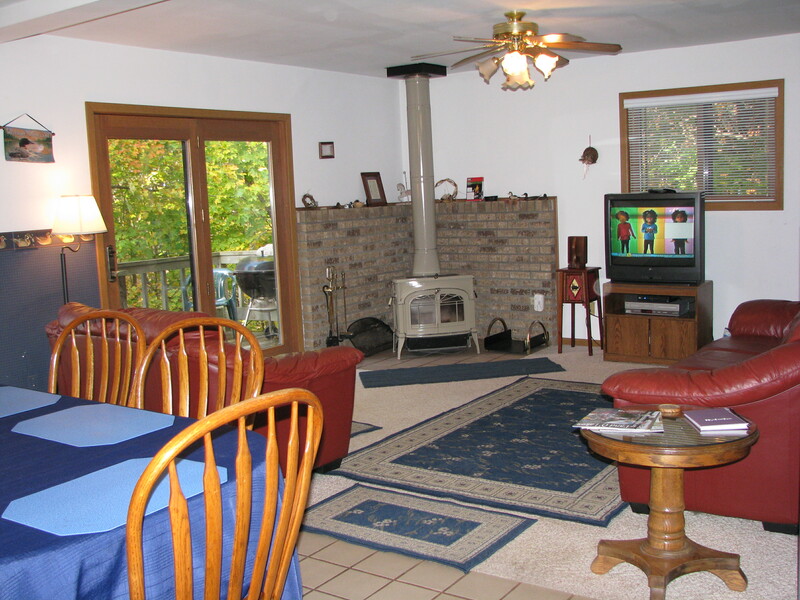 We are 12 miles southwest of Watersmeet and 15 miles northwest of Land O’ Lakes, Wisconsin. We’re 34 miles from Eagle River, Wisconsin, 300 miles north of Milwaukee, and 390 miles north of Chicago. It’s about a 5 ½ hour drive to either the Mackinaw Bridge or Minneapolis, Minnesota. We invite you to visit our Facebook page. 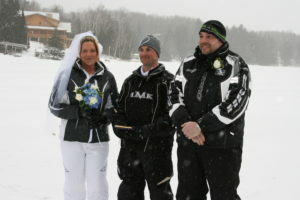 Please “Like” us at The Arrows Resort! I have been posting on our Facebook page, so check it out, too, for more information on our homes and area! THE CISCO CHAIN OF LAKES is comprised of 15 navigable lakes with 270 miles of shoreline. Thousand Island Lake is the largest of these scenic lakes and has numerous islands and bays. A day boating on the chain is a memorable one… be sure to include the smaller uninhabited lakes, too. 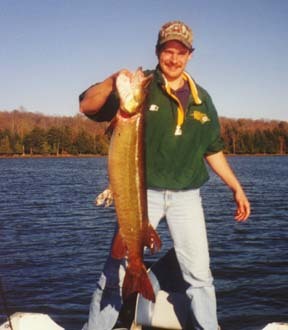 Our son, Bryan, with his nice musky! WALLEYES, MUSKIES (the state record musky was caught in 1980 on our lake!) 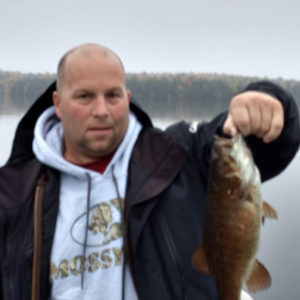 large and smallmouth bass, northerns, perch, crappies, and other panfish are plentiful. Many trophy fish are taken each year. Thousand Island also contains lake trout, splake, and cisco. The variety of topography and the individuality of each lake on the Cisco Chain will call you back time after time. The Chain and all it offers will spoil you! Henry David Thoreau once wrote “Many men go fishing all their lives without knowing that it is not the fish they are after.” So true…enjoy the camaraderie and the beauty of the Northwoods as well, but fishing these lakes that produce fish make it even more memorable! There are 302 lakes and 241 miles of trout streams to explore in Watersmeet also. WILDLIFE abounds here. There are many, many nesting pairs of bald eagles and loons on our chain. Deer, coyote, raccoon, red fox, bobcat, skunk, otter, beaver, muskrat, bear, porcupine, fisher, etc. are abundant in our area. Even bobcats and timberwolves reside in Sylvania (we’ve had radio-collared wolves in our yard a few times!). And Denver took pictures of a young moose just a mile north of our home here a couple of years ago! 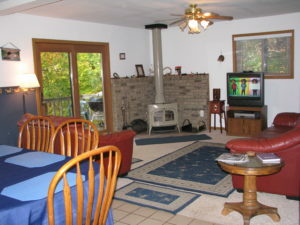 We are located in the OTTAWA NATIONAL FOREST and just one mile from Sylvania Wilderness and Recreation Area. 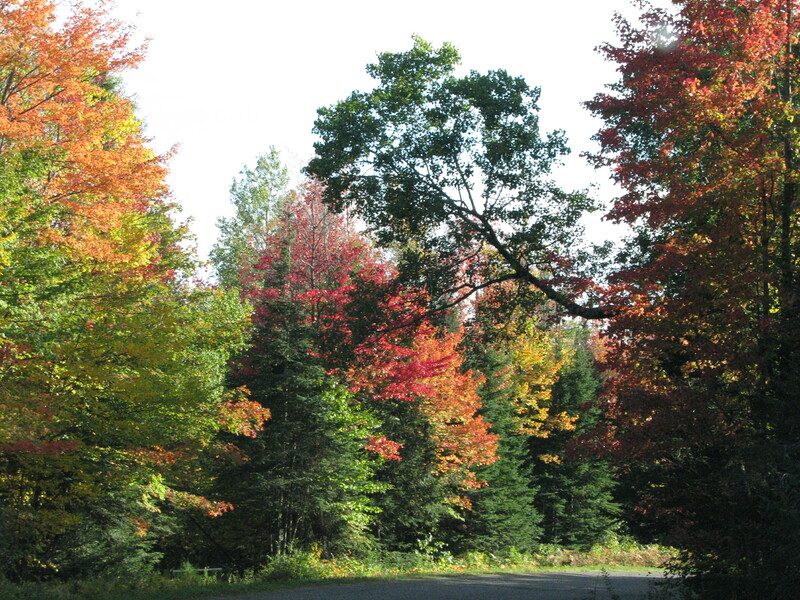 Sylvania is a national forest with 21,000 acres of virgin forests and 36 unspoiled lakes. This area is closed to motor boats on most lakes (and snowmobiles in the winter), but it is available to the public for canoeing, picnicking, hiking, fishing, swimming, hunting (in season), and winter sports. There is a beautiful sand beach on Clark Lake which we highly recommend for swimming. 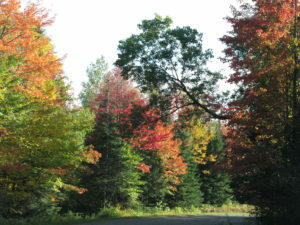 FLAMING FORESTS of colored trees brighten our area from the end of August till sometime in October. This is a wonderful time to visit the chain. 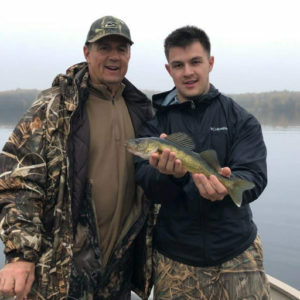 The fish are biting better with the cooler waters, and fewer people are boating with school back in session. You’ll long remember the peacefulness and beauty of the chain in the fall. Late October and early November can provide some of the best fishing of the year! We have terrific fall and spring discounts and super discounts in the quieter times of the year. BOWHUNTING AND SMALL GAME HUNTING are popular in the fall. 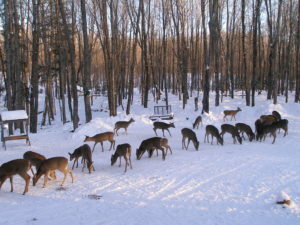 Many deer, partridge, ducks, geese, and even bear are taken each year. 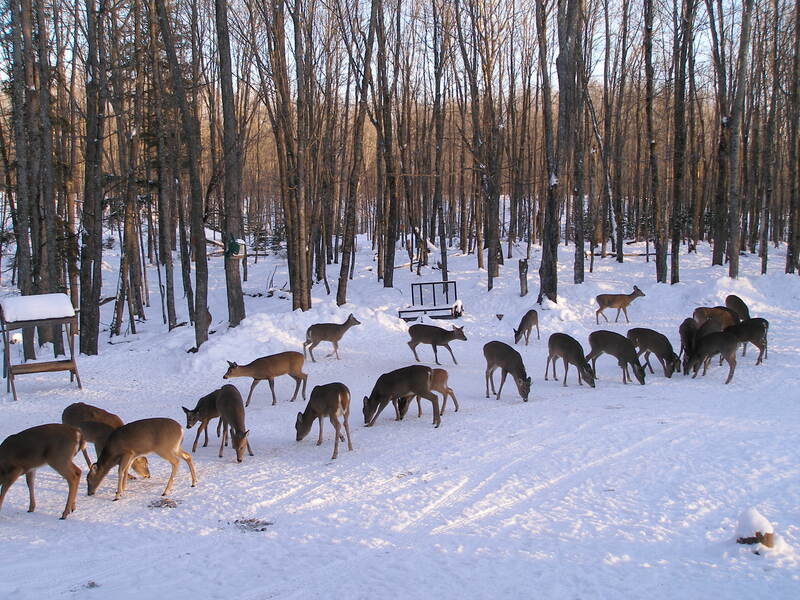 Our gun deer season runs from November 15 to 30 each year. 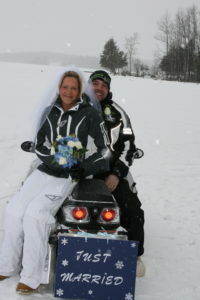 ATV, UTV, SNOWMOBILE AND BIKE from your door. 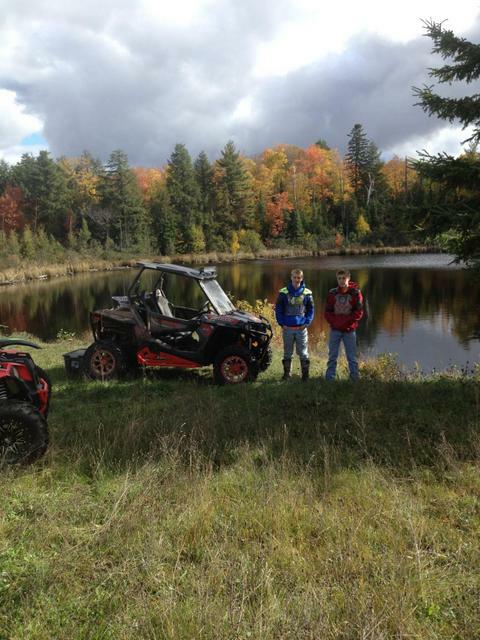 Our county road, Thousand Island Lake Road, is an access trail to the main snowmobile and ATV/UTV trails. 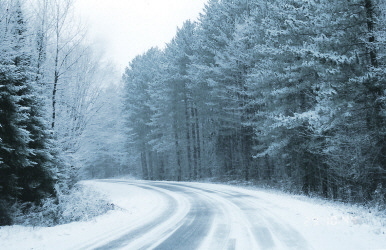 You can legally ride on the right side of the road to the main trails for both sledding and four or six wheeling. 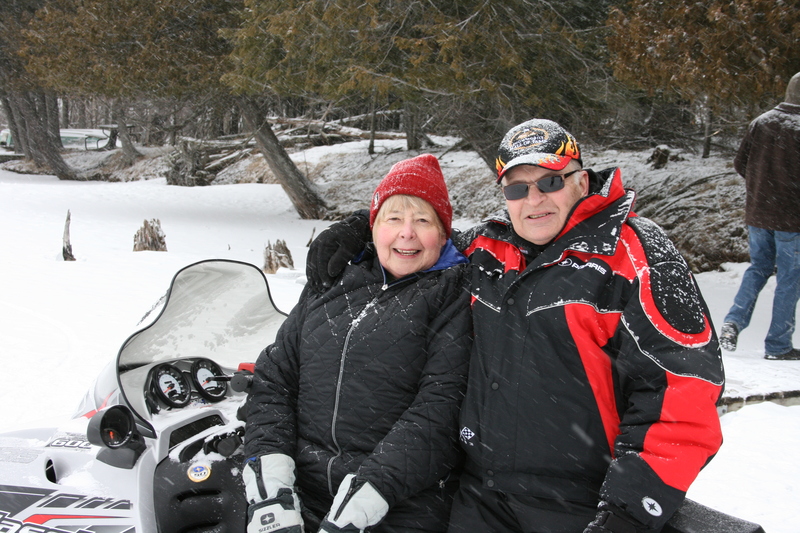 When the ice is safe, you can also access the snowmobile trail by sledding across the frozen lakes of the Chain. 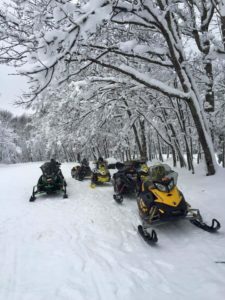 It’s easy to connect up with the trail hub here that allows you to head east, west, north, and south in Watersmeet for some of the best sledding you’ll ever have. Our U. P. Thunder Riders Snowmobile Club does a great job of maintaining our snowmobile trails here. The Agonikak bike trail is part of the 38-mile Wilderness Lakes Trail. 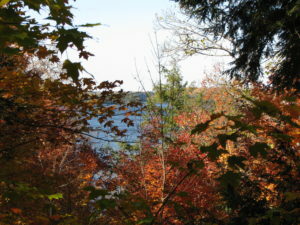 These trails can be accessed right here on Thousand Island Lake Road joining Watersmeet and Land O’Lakes, Wisconsin. Our main snowmobile trail becomes our great ATV/UTV trails when it’s not sledding season. 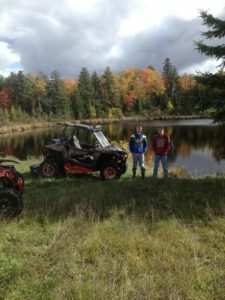 Wide trails maintained by Mi-Trale provide excellent riding for your four-wheelers or six-wheelers. Mi-Trale has a great trail map and book available, and the Forest Service also has three large maps of the trails here that they have. Come and enjoy the great scenery, clean air and some wonderful riding! WINTERS here bring lots of snow for the enjoyment of snowmobilers, skiers, and ice fishermen. 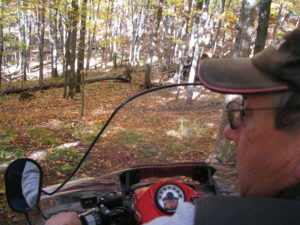 Our homes are located on an access trail joining with main trails heading in every direction. Our fantastic snowmobile trails are groomed daily from December 1 to April 1 normally. Cross-country skiing is close by in Sylvania and at a trailhead at Sylvania Outfitters. Six downhill ski hills are within a 45 to 90 minute drive. 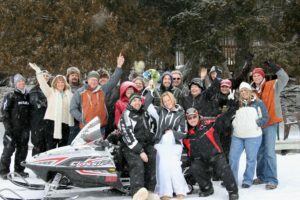 Both snowmobile rentals and service and ski outfitters are located locally. 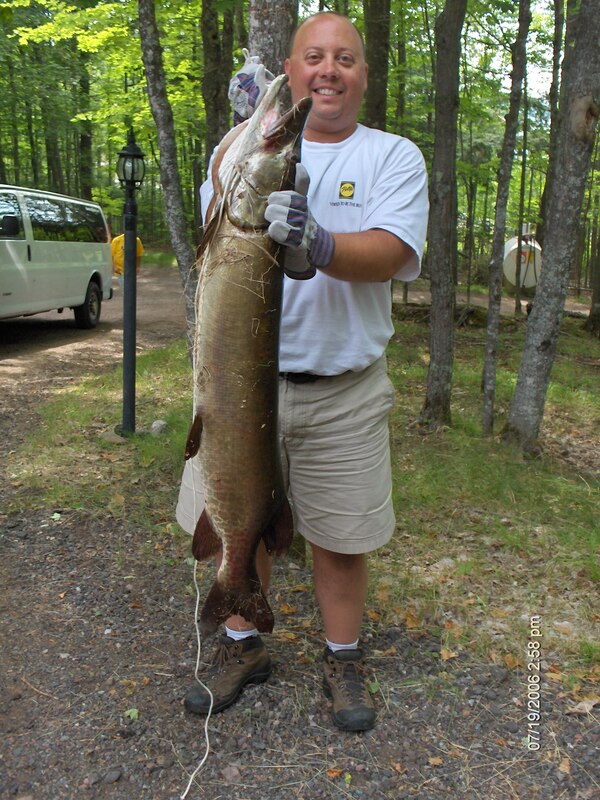 Ice fishing for walleye, pike, and musky on the Michigan side of the chain is open through February 28 or March 15. 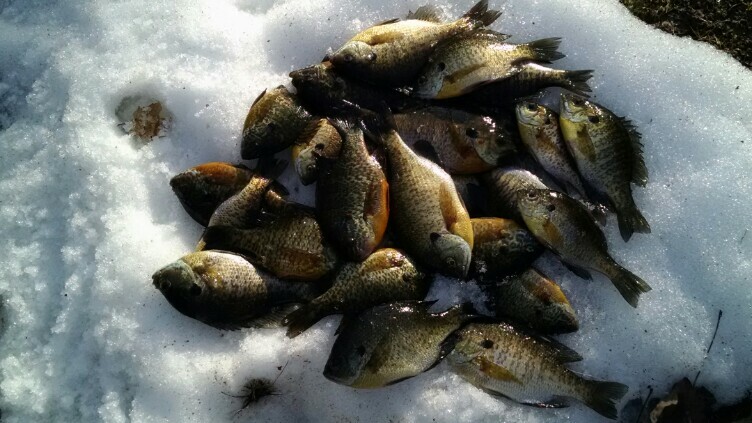 Panfish and trout can be taken till the ice goes out around Mid-April. 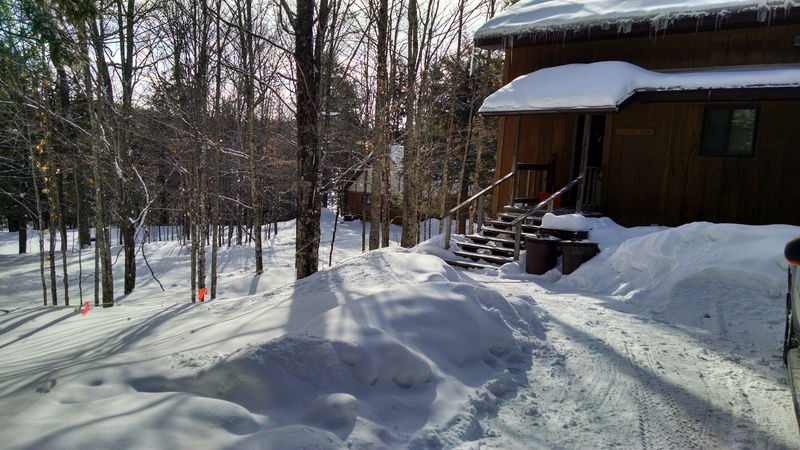 Enjoy your favorite winter sports or just come and relax in our winter wonderland! Mid-week discounts for Monday through Thursday visits. 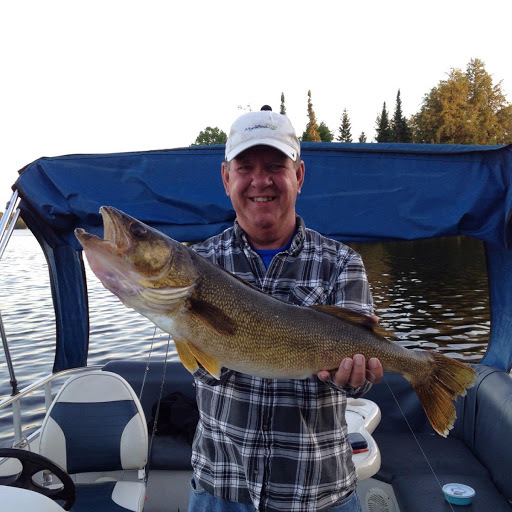 ICE FISHING is a fun and exhilarating past time in the winter here. Jig for panfish or set up your tip-ups for game fish. The eagles will entertain you and the scenery will renew you! There’s no better meal than a fresh catch of fried fish after a fun day on the lakes! One of my most memorable days was spent catching bluegills with family here and coming home with very rosy cheeks to a slow cooker full of homemade chili. We fried up our catch of bluegills to a golden brown and cut up a fresh pineapple! What a strange combination, but it was one of the best meals ever!!! 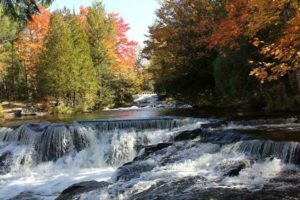 Whether your vacation plans include a stay in the spring, summer, autumn, or winter, the fantastic Cisco Chain and the breathtaking Western Upper Peninsula of Michigan have it all! We know that you’ll go home with wonderful memories to last you a lifetime!